The Open Budget Index (OBI) for the year 2010 assessed 94 countries from around the world in terms of their budget openness and accountability. The drive was coordinated by the International Budget Partnership, a Washington DC based independent think-tank. Of the 94 countries reviewed, only 24 yielded satisfactory results when it came to maintaining a transparency in their budgets. Despite some notable improvements, many of the countries surveyed have numerous milestones to achieve. The situation in Southeast Asia is even more worrying as none of the seven countries surveyed achieved a satisfactory score (i.e. at least 60 out of a possible 100 points). Singapore was, however, not included in the recent survey. 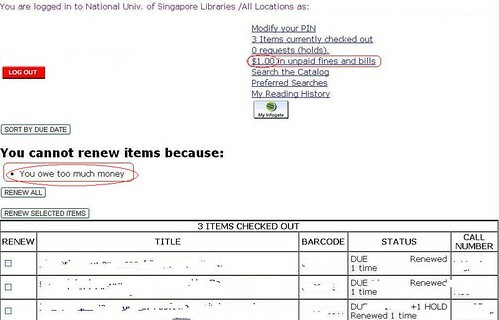 This entry was posted in Economics, English, Singapore and tagged budget transparency, OBI, Open Budget Index on Tuesday, 8 March 2011 by Webmanager. 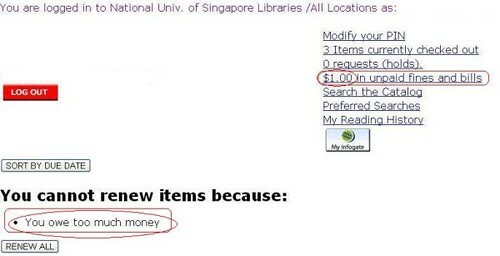 This entry was posted in English, Fun, Singapore and tagged library, NUS, prejudice, Singapore, stereotype on Monday, 29 November 2010 by Webmanager. LowCarbonBudget.eu by the UK’s Green Alliance. Focuses on the ‘green’ side of the budget but has very competent staff behind and also up-to-date information on general developments. This entry was posted in English, EU budget and tagged EU budget, farmsubsidy, fishsubsidy, Follow the Money, Green Alliance, studyeu on Wednesday, 27 October 2010 by Webmanager.